*This name was given because in Genesis 25:23-34, Rebekah helped her son, Jacob, trick the birthright from his father, Isaac, and his twin brother, Esau. 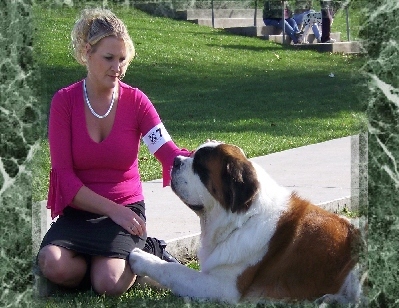 INT/NAT CH Bekka finished her International and National Championship on July 13, 2008. 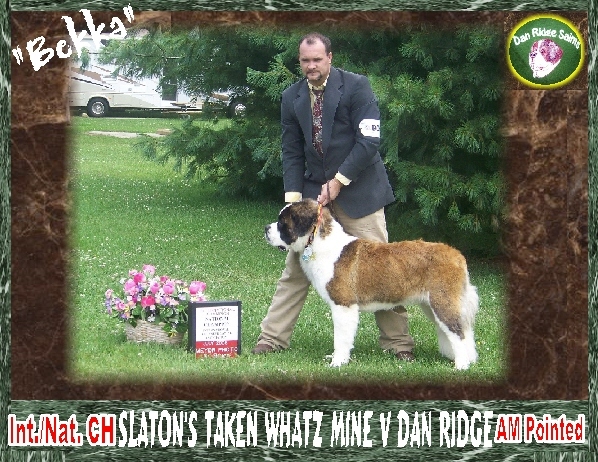 Amoung her winnings thus far, one Working Group 1, two Working Group 2, one Working Group 3 and 5 Best of Breeds. Bekka has done very well in the International Shows. She is also pointed toward her AKC Championship. We plan to finish her AKC Championship this year. A VIDEO OF BEKKA�S ROAD TO HER CHAMPIONSHIP. 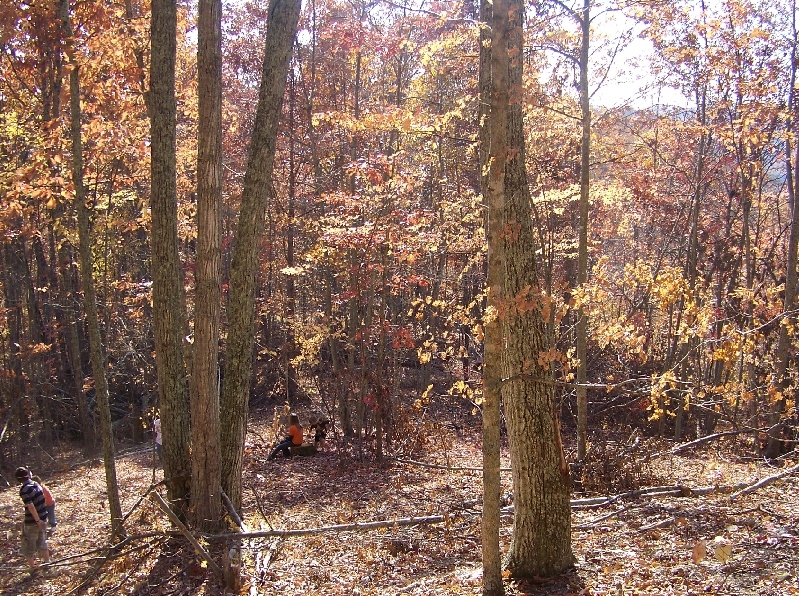 many with obedience titles since 1973. 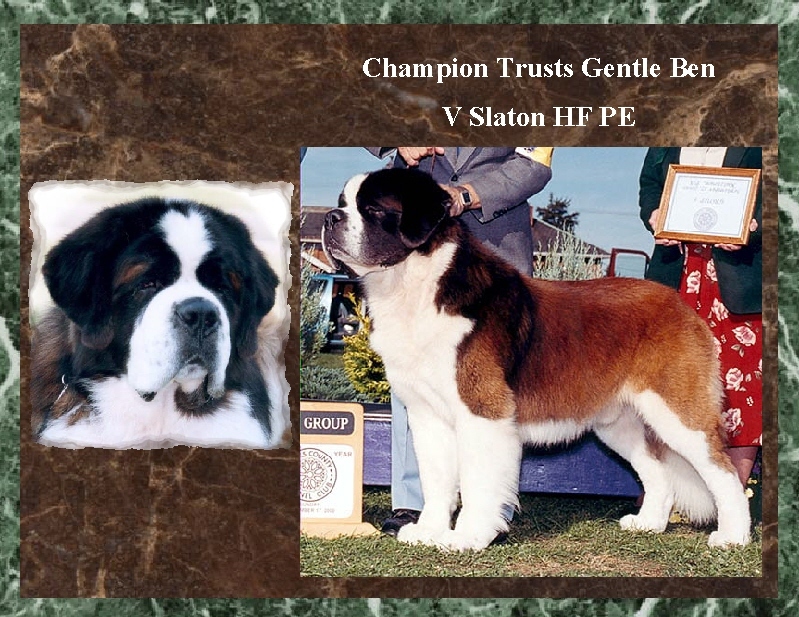 This female is the great grandpup from the American/ Canadian Champion Trusts Gentle Ben V Slaton who is the Top Winning St. Bernard in the History of the Breed. 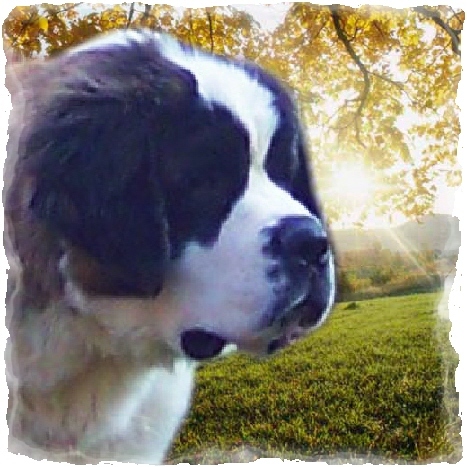 Gentle Ben was produced by Denise Greenaway with Trusts Kennels in Canada. 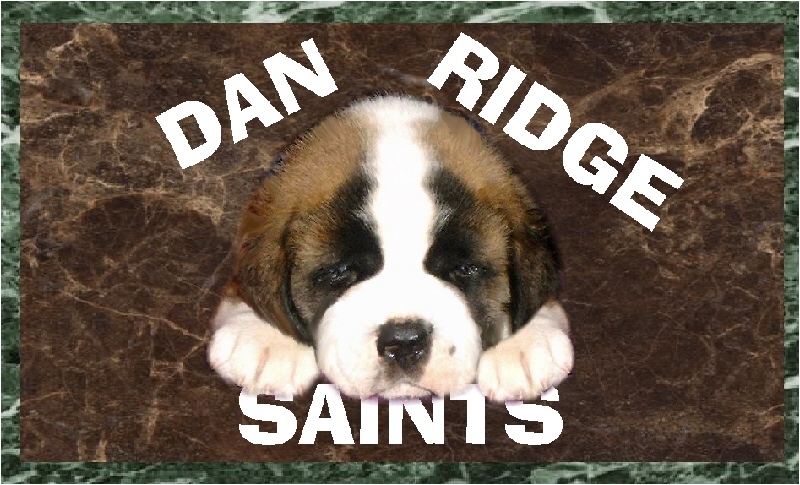 Gentle Ben's sire: AM/CAN CH Slaton's Lite-Weight He Aint HOF and his dam: CAN CH Sanctus Black Diamond AM/CAN TD CAN CD. Gentle Ben was shown by Joe Wolf and groomed by Shirley Wolf.